70. 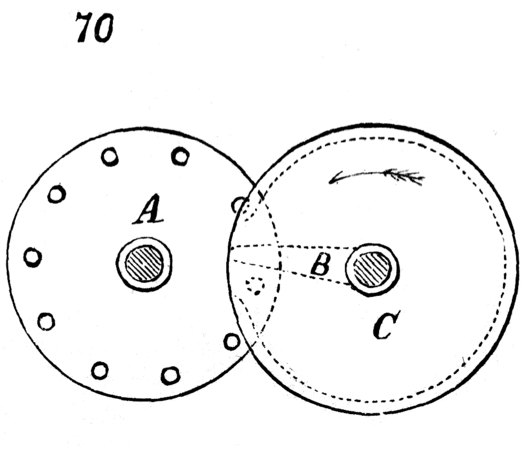 The driving-wheel, C, has a rim, shown in dotted outline, the exterior of which serves as a bearing and stop for the studs on the other wheel, A, when the tappet, B, is out of contact with the studs. An opening in this rim serves to allow one stud to pass in and another to pass out. The tappet is opposite the middle of this opening.